Google Glass has some company, and it promises to have more interactive features. Facebook announced on Tuesday that they are buying Oculus VR, the company responsible for developing the Oculus Rift virtual reality gaming headset. This new acquisition, worth US $2 billion in cash and stocks, is Facebook’s next move towards their mission “to make the world more open and connected,” according to a statement released by Mark Zuckerberg. “I’m excited to announce that we’ve agreed to acquire Oculus VR, the leader in virtual reality technology,” said Zuckerberg in his statement. Facebook has been pushing for mobile support for a while, although they haven’t been nearly as successful as the early success they experienced with gaming (which pushed their popularity in their earlier days). This move towards virtual reality is an early move towards what Facebook sees to be the future of social. “Virtual reality was once the dream of science fiction. But the internet was also once a dream, and so were computers and smartphones. The future is coming and we have a chance to build it together,” says Zuckerberg in his statement. “It opens doors to new opportunities and partnerships, reduces risk on the manufacturing and work capital side, allows us to publish more made-for-VR content, and lets us focus on what we do best: solving hard engineering challenges and delivering the future of VR,” they added. 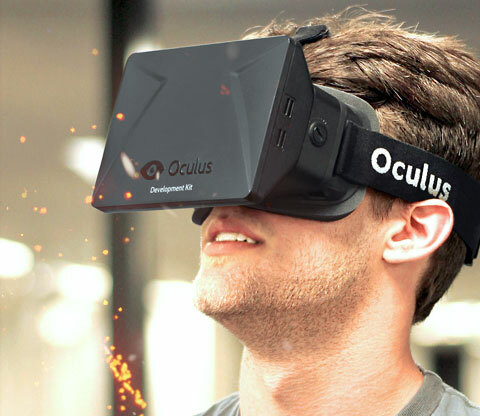 Right now you’ll still see Facebook focus on developing their platform to maximize all possible desktop and mobile capabilities, but you can expect them to integrate their platform with this new VR headset as Oculus refines the technology. As mentioned above, this purchase will allow you to create and publish new types of content suited to virtual reality, which in turn enriches user experience. When this happens, creating VR-compatible content could be another solution you can offer your clients. For now, though, you need to focus on improving your Facebook presence in preparation for this medium shift. Check out our social media solutions to see what we can do for you or talk to your account manager today to learn more. If you’re not yet our partner, sign up for free today to get access to our full suite of SEO and online marketing solutions. Keep checking back for more news and tips!